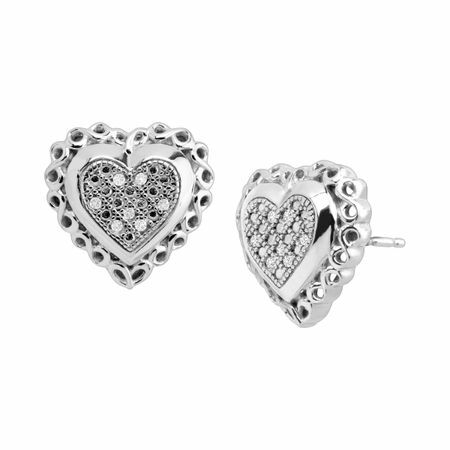 Add a fun-filled touch to any day or night with the sweetness of these heart-shaped studs. These precious diamond heart stud earrings feature lacework trim and a lattice pattern center with gleaming diamond accents, crafted in sterling silver with friction-back posts. Pieces measure 1/2 by 1/2 inches.